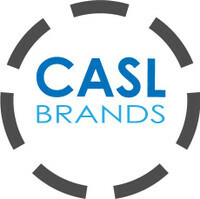 Serenity Health & Home Decor is excited to announce our next brand, CASL Brands. CASL products are designed with you in mind, focusing on functional, home and office type products. You will find high-quality, utility products such as home-gym fitness equipment, seasonal snow shovels and utility shovels as well as home and office products. We promise you the same superior quality that you find with our Sunnydaze Decor line, with the same one-year warranty, and great US-based customer service that you receive when you buy from Serenity Health & Home Decor.